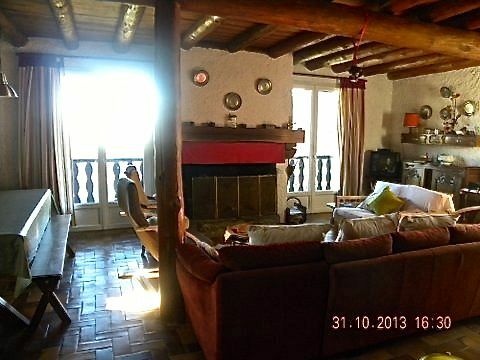 - Large comfortable and spacious chalet, located south. - 2 bathrooms: one with bath, shower. - 1 w. Separate c.
- Dominant position overlooking valley and mountains with balconies on 3 levels and roof garden. - Large living room, bright, with fireplace and kitchen with a refrigerator, stove, m. o, oven, l. v., etc. Joli chalet très confortable. Belle ambiance montagne. Proximité des pistes. Parfait pour un séjour en famille.